Do you know how easy it is to make your own stamp designs? It take very little in effort and supplies. 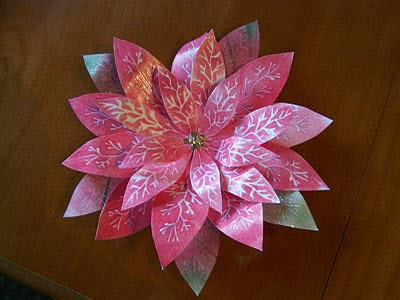 This is the poinsettia I've made with my own petal stamps. 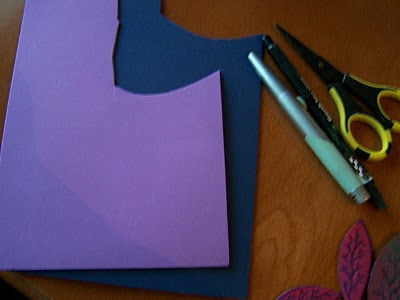 A cheap package of foam from Walmart, a pen, scissors and a cutting blade are all you need. Draw a leaf shape with veins, cut out with scissors. Use blade to cut the veins. Don't worry about how deep these cuts are, just follow the lines. I made 3 sizes of my petal shape. 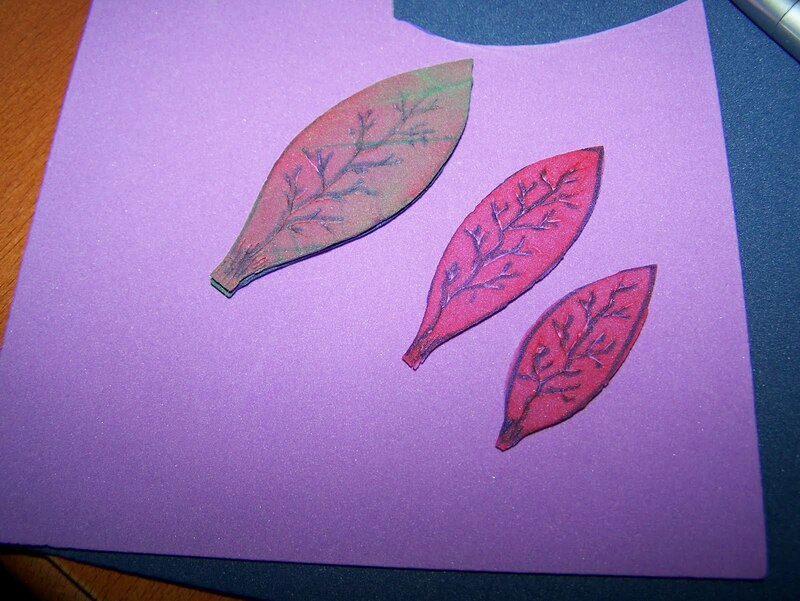 Once I stamped the petals on white cardstock I let them dry for a few minutes. I then brushed on a thin coat of Mod Podge and let dry again. The Mod Podge allows you to shape the petals. Built 5 petal flowers onto a glue dot. Layered them all together and this is what I ended up with. Posted by GlendaJ at 6:02 p.m.